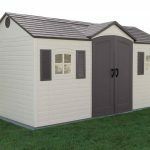 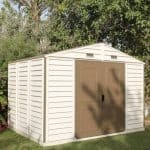 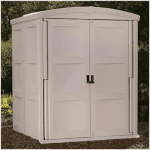 This Waltons 6 x 10 shed has a free floor that adds that extra bit of value to the purchase. 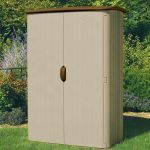 This makes for an attractive package that really brightens up any garden. 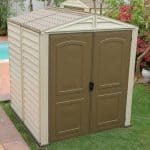 Other features include high strength polycarbonate cladding, which gives you a shed that can take nay bumps or knocks, as well as remain dry throughout the strongest rainstorms. 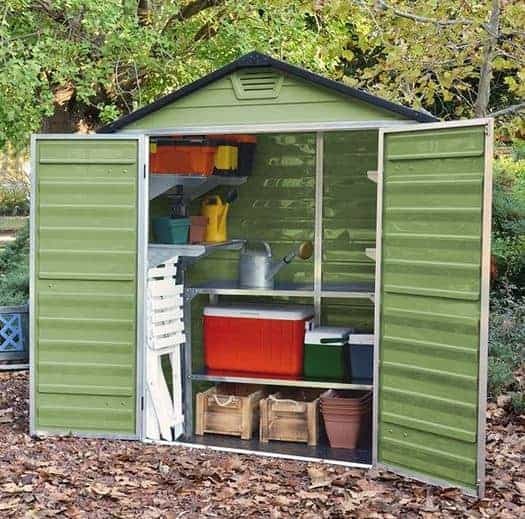 Water simply won’t get in. 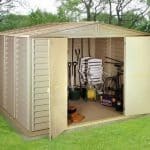 There is a 10-year manufacturer’s guarantee for your peace of mind, and there is also a pad bolt included so you feel secure and safe in the knowledge that your tools and equipment are safe.